1999-2001 Master of Visual Arts, Government College of Art & Craft, Kolkata. 1994-1998 BFA, College of Fine Arts, Thiruvanthapuram. 2007 Lost Article, India Habitat Centre, New Delhi. 2006 Footloose of Blue Pencil, Bombay Art Gallery, Mumbai. 2007 Object- Making/Unmaking, Vadehra Art Gallery, New Delhi. 10 Light Years, Kashi Art, Kochi. 2006 Real 2006, India Habitat Centre, New Delhi. Infinit-Us Unbounded, Planet Arts Gallery, Gurgaon. Vi - Art Gallery, New Delhi. Encode- Decode, Palette Art Gallery, New Delhi. 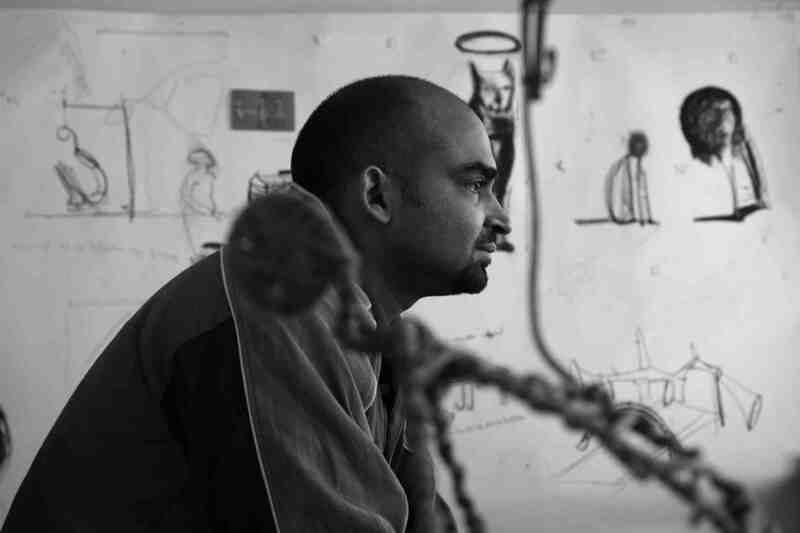 No Square Circle: Drawings by Sculptors, Rabindra Bhavan, New Delhi. Shifting Focus, The Air Gallery, London. 2005 The Mouse, Global Art Village, Delhi. Double-Enders, Jehangir Gallery, Mumbai and traveling. Sculpture by the Sea, Bondi 2005, Sydney. Eternal Recurrence, Hotel Shangrila, New Delhi. 2004 The Making of India, Rabindra Bhavan Delhi and traveling. Conflicts & Dualities, Nature Morte, New Delhi. 2003 Migration, City, Home, Birla Academy of Art And Culture, Kolkata. Chroma, Indisk/Norsk Kunst I Gatene, Bergen. 2002 Chroma, India Habitat Center, New Delhi. 2001 The State Exhibitions, Lalit Kala Academy, Kerala. 2000 Sculpture 2000, Organized by Gorkey Sadan, Kolkata. 1998 Best of the Year, Lalit Kala Academy, Chennai. 1995-1997 The State Exhibitions, Lalit Kala Academy, Kerala. 2005 Promising Artist Award, India Habitat Centre, New Delhi and Art India Magazine. 2005 Kashi Visual Art Award. 2000 –2002 National Scholarship, Ministry of Tourism And Culture, Government Of India. 1998 Bodhi Best Student Award. 1995 Highly Commended Award, Lalit Kala Akademi, Kerala.